Every year in Bintulu, you will be amazed by the sight of hundreds of kites in various shapes, sizes and colours adorning the skies at the old Bintulu Airport runway. 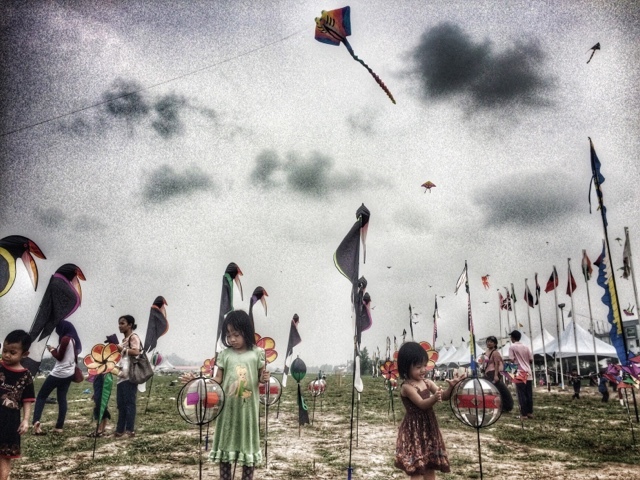 It is none other than the Borneo International Kite Festival that started way back in 2005. This year is the 11th year of this majestic event which was held last week, with participation from more than 30 countries flying more than 200 kites. 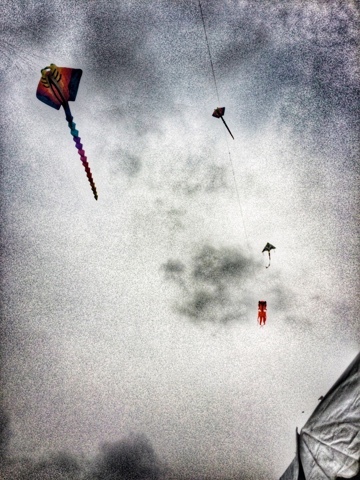 The event kicked off with Pesta Gudi (Bintulu dialect term for 'kite') where local kite flyers paraded their kites in the sky. This venue is perfect for kite-flying not only because it is a wide open space (used to be a runway), but also due to its proximity to the ocean, the wind is quite strong in this area. As my kids love kite-flying, we went to this festival on the last day of the event to join in the fun of kite-watching and flying. Besides watching (and playing) kites, the place was abuzz with various stalls selling all sorts of things ranging from handicrafts, food and clothing, but also furniture, household items, cars and even properties! 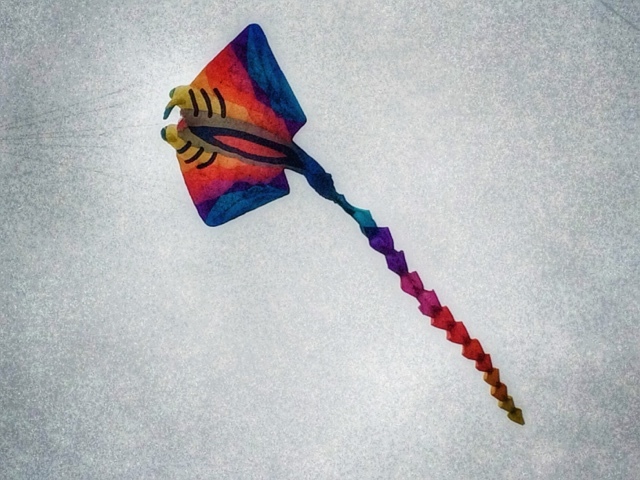 Of course, you could find plenty of kites on sale and my kids were super-thrilled to find Frozen-themed kites. 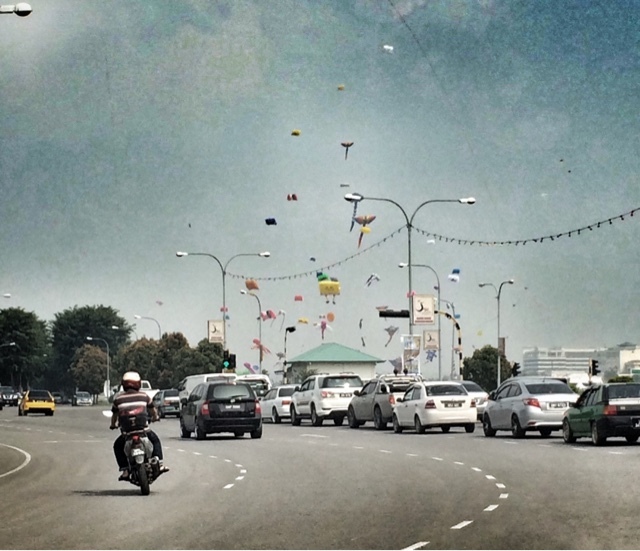 The kites were priced at RM10 to RM15, complete with the thread. 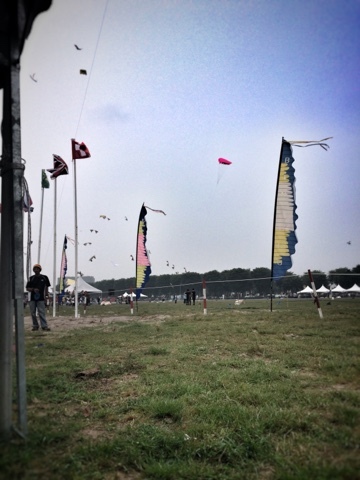 This stunt-kite flying was performed by participants from Japan. We were very impressed to see their skills flying the kite to the beat of music, and even expertly landed the kites so they stood smartly on the tarmac before flying off again into the sky! Just as we were leaving, there was an announcement asking all kids to enter the kite arena (this year, public was not allowed to enter). 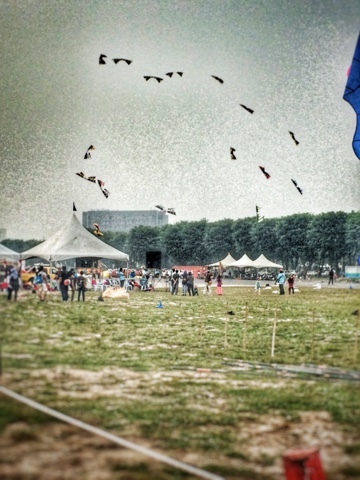 It turned out that they were going to drop a bunch of lollipop parachute from one of the organizer's kite. The moment the candies 'parachuted' down, all hells break lose and there was a frenzy as kids rushed to pick up the candies! In the process, my 4-year-old girl was pushed and almost trampled upon by bigger kids. It was lucky that I was there to guard her and picked her up. Poor Khayla, she was so excited to get a lollipop the first round that she wanted to join again for the second round only to lose her lollipop when she lost her grip on it after being pushed by some other kids! This year as well, the organizer succeeded getting into Malaysia Book of Records by forming the longest arch kite tunnel of 500 metres. That's an achievement that Bintulu could be proud of. For us Bintulu folks, we are just happy to have an excuse to spend quality time with our family.